Volkswagen recently successfully tested its new Bora Hy.Power hydrogen vehicle by subjecting it to a long-range drive between France and Italy. Unlike other hydrogen cars, the Bora Hy.Power features significant performance enhancements such as a new type of membrane in its fuel cell, as well as high-performance capacitors. The vehicle was accompanied by a SunFuel-powered Bora on a drive through the Simplon Pass in a bid to test both their efficiency and how they deal with temperatures below freezing point. Simplon Pass was chosen as it stands 6,500ft above sea level — pretty chilly conditions. 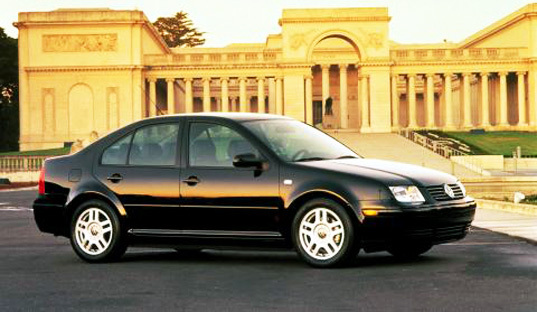 The two cars use different systems – the SunFuel Bora/Jetta is powered by a clean synthetic diesel called SunFuel. 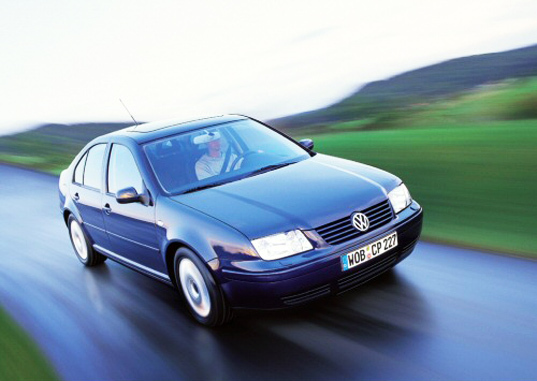 It has one of the lowest emissions of any car in the world, and Volkswagen is currently planning on using it in all their future zero emission fuel cell cars. SunFuel is a non-traditional low-sulfur fuel that can be made from renewable sources such as plants, waste products and other raw materials. 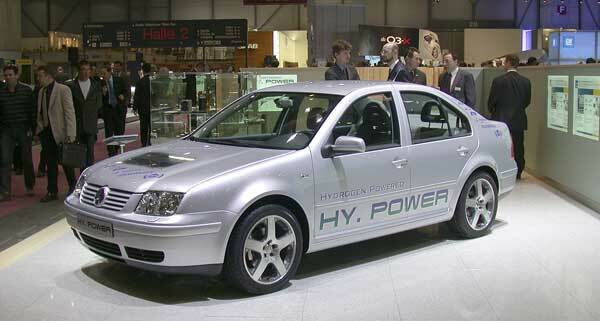 However it is the Bora Hy.Power that was really being put to the test. Hydrogen fuel cells have long been discussed as the future of automotive propulsion, but cost and safety concerns have made it a slow process. In the Bora Hy.Power’s case, a new hydrogen fuel cell was being tested that would produce 75kw to power the electric motor while emitting only water vapors into the atmosphere. In addition benefiting the environment with low emissions, Volkswagen says its new Hy.Power Bora also does away with many of the precious metals previously needed in hydrogen fuel cell technology, replacing them instead with plastic fibers. With all these new and improved design, the six electric motors produce 64bhp, which gives the car an impressive 70mph top speed and adequate acceleration. Volkswagen recently successfully tested its new Bora Hy.Power hydrogen vehicle by subjecting it to a long-range drive between France and Italy. Unlike other hydrogen cars, the Bora Hy.Power features significant performance enhancements such as a new type of membrane in its fuel cell, as well as high-performance capacitors. The vehicle was accompanied by a SunFuel-powered Bora on a drive through the Simplon Pass in a bid to test both their efficiency and how they deal with temperatures below freezing point. Simplon Pass was chosen as it stands 6,500ft above sea level -- pretty chilly conditions.